House 8810: It's A Guessing Game! What's a birthday celebration without games? Here at House 8810 we gathered pictures of our employees celebrating their birthdays. The photo above is a collage of House 8810 employees celebrating their birthdays. Can you guess what name goes with each picture? Leave a comment with your answers. Guess correctly, and win any item of your choice from House8810.com! 2. our singing warehouse extraordinaire who gathers your goods on a high note. 3. our chatty social warehouse manager who works at the speed of light! if you order it, he'll ship it. 5. our hip photographer and graphic designer who makes our website shine. even as a child she was on trend, look at her giving winnie-the-pooh street cred. 6. our spunky go-to-gal who keeps it all running smoothly. 7. a well-caffeinated whiz on the record books, and a collector of antiques. 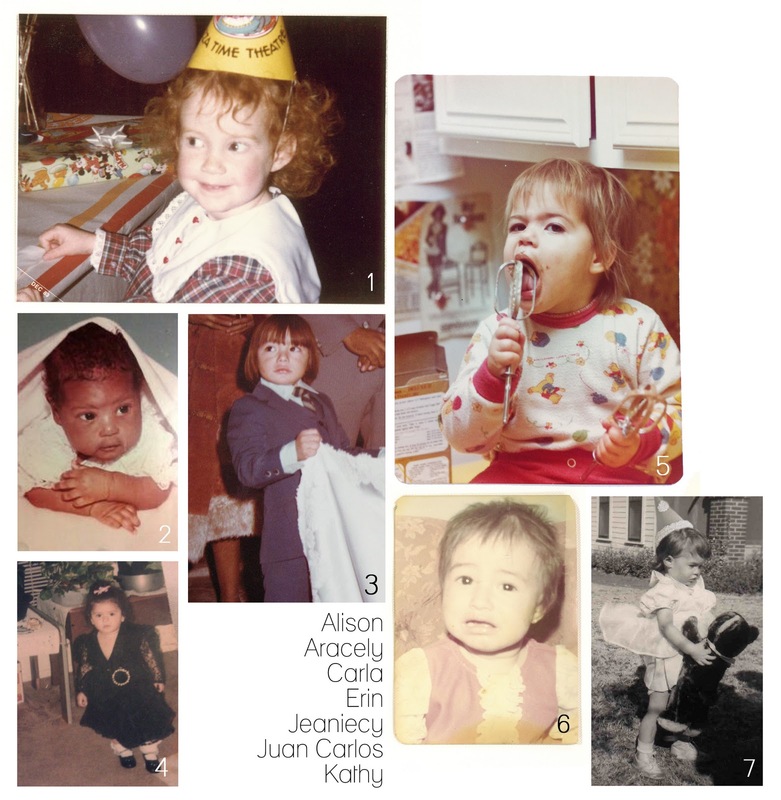 1.Alison 2.Jeaniecy 3.Juan Carlos 4.Carla 5.Kathy 6.Aracely 7.Erin... there it is my guess... fingers crossed! Oh boy... here's my best guess!